Microsoft has always been an emerging name in the market and with the release of its latest OS it has been continuing to be one of the outstanding OS developers. Its latest release Windows 10 has caught up much attention in the past and with each upgrade that Microsoft brings for Windows, its transforms and enhances the user creditability and the ways we have been using personal computers since decades. With each upgrade, they are trying to overcome the problems and limitations of their previous versions and thus imparting revolution in computing. But every development brings with it some bugs that need to be fixed. 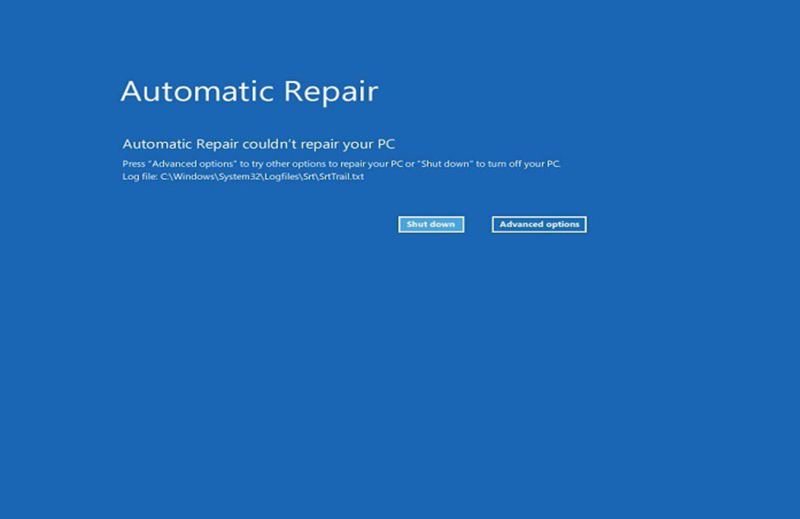 Windows 10 has an error which says “Automatic Repair couldn’t Repair your PC“. Automatic Repair is meant to fix booting failure error; this function is a built-in option and comes with Windows itself. 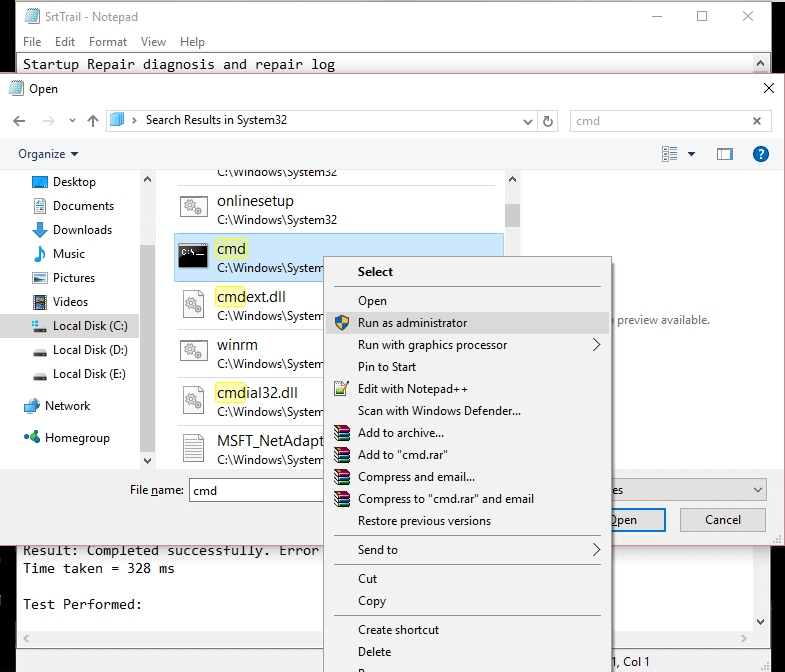 When Windows 10 system running system fails to boot, this Automatic Repair option fixes the bugs that are preventing Windows to run properly. 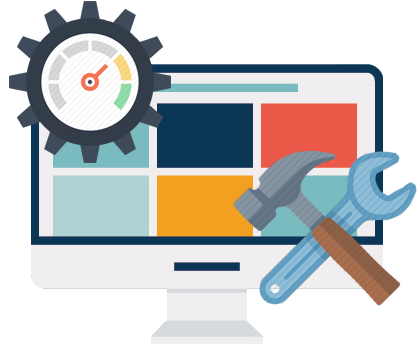 Though it automatically repairs and fixes the errors but sometimes due to some limitation that this tool may not work and interfere in the smooth booting of the system thus making a dreaded moment for the user. This Repair tool fails because there are some files that are missing or corrupted from your operating system installation file folder and when it will fail you won’t be able to get into the Safe Mode. In such a situation when the Repair tool could not rescue your PC then Recovery Drive/System Repair or Bootable installation media can be helpful. So here are some noteworthy methods explained step by step which would be very helpful in case when Automatic Repair tool doesn’t work. 1. 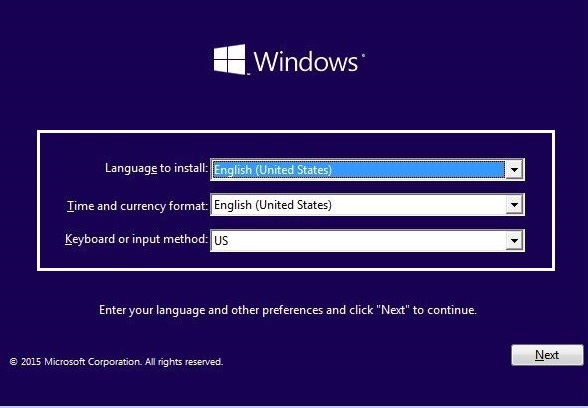 Insert the Windows installation media or recovery drive/System Repair Disc and then select language preferences from the drop-down menu and then click next. 2. Click on the Repair your computer button at the extreme left bottom corner. 3. After this choose Troubleshoot and then click on Advanced options. 5. 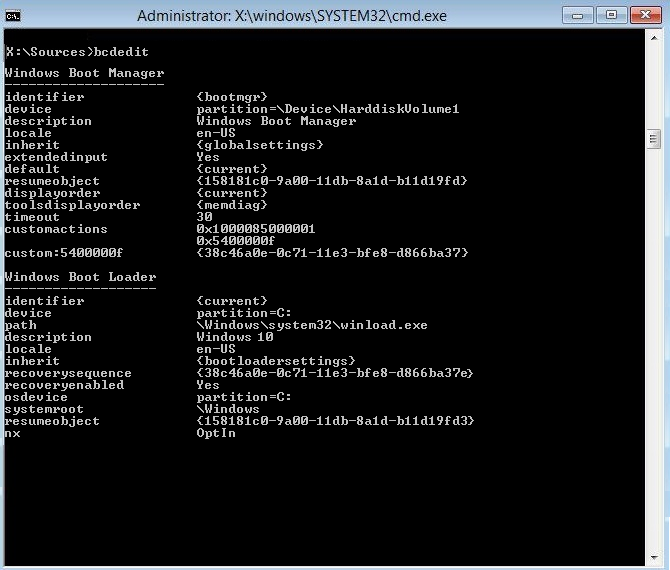 When you see the command prompt interface, enter these commands and hit enter. 6. After executing these commands successfully, type exit. 9. Now try again with the same commands which failed earlier. 2. Now type these commands in diskpart in the same way as highlighted. 4. 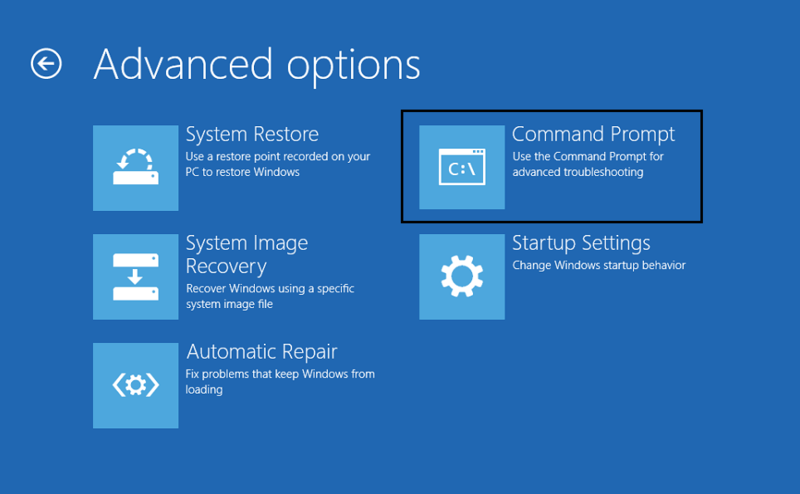 Restart your PC to apply the change and this may fix “Automatic Repair couldn’t repair your PC” error. 3. 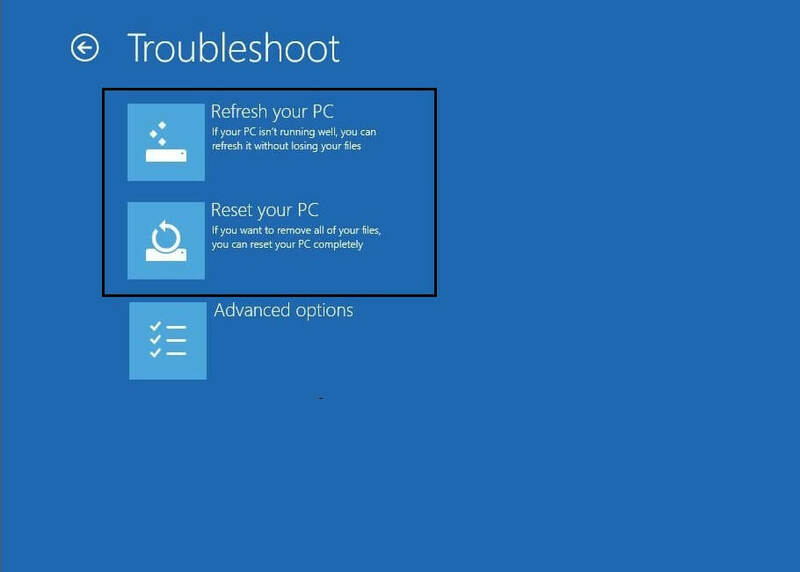 Just check if the problem is fixed by restarting your PC. 1. 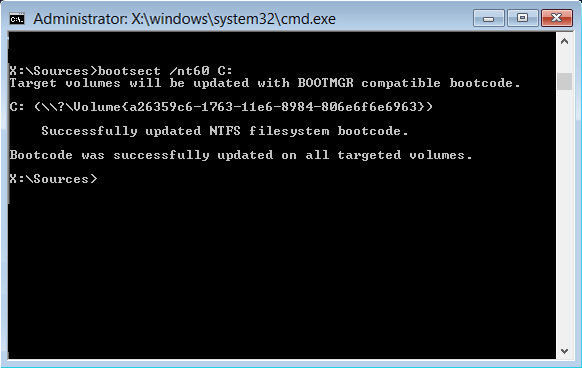 Boot from any installation or recovery media that you have created before. 2. From the drop down menu select your language preferences and then click next. 3. 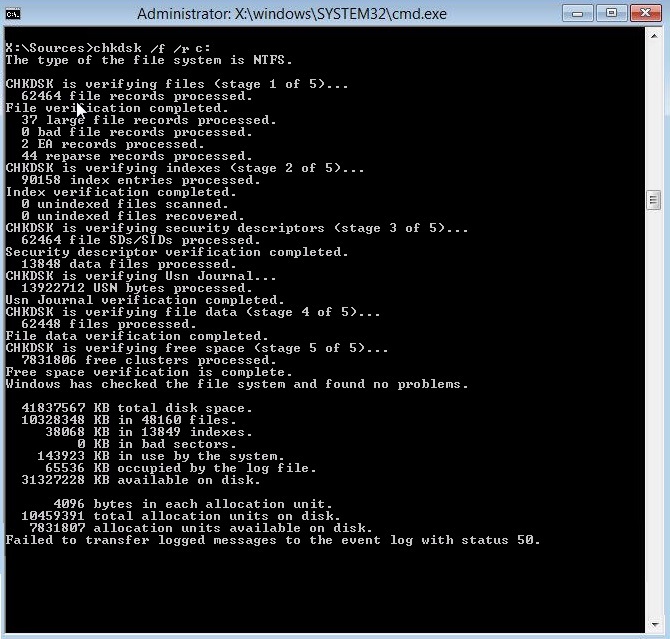 After step 2 press Shift +F10 to open the command prompt. 6. Now press CTRL + O and from file type select “All files” and then search for C:\windows\system32 then right click CMD and run as administrator. 8. 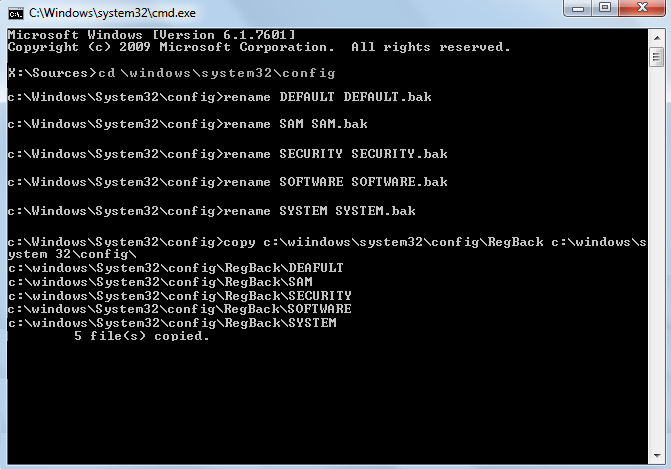 Then, Rename Default, Software, SAM, System and Security files to .bak as below so as to create backup for these files. 10. Restart your PC to see if you can boot to windows. 2. After entering this command wait for execution, this might take 15-20 minutes. When process is completed restart your PC. This would fix “Automatic Repair couldn’t repair your PC “ error. 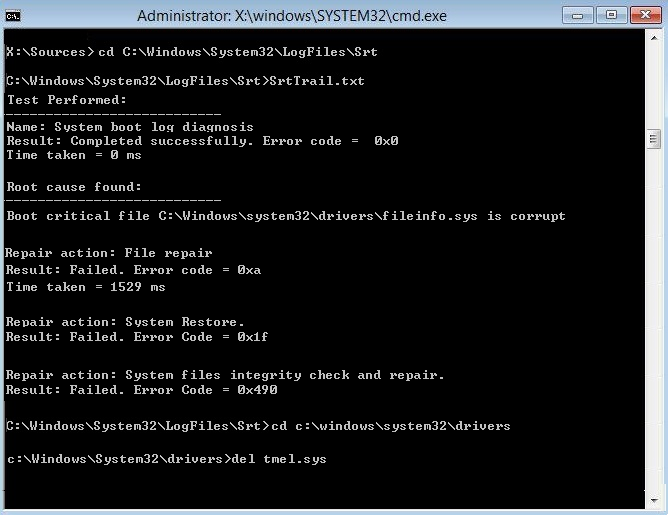 Boot critical file c:\windows\system32\drivers\tmel.sys is corrupt. Note : Do not delete the important files which are required for booting. Restart your PC and ensure if the error is fixed or try next method. 1. 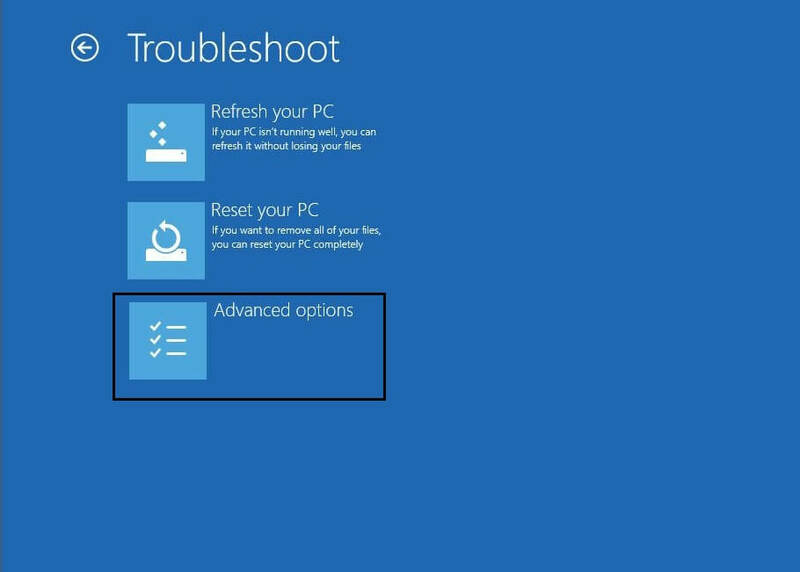 After getting into the boot menu, choose Troubleshoot>then, Advanced Options> Startup Settings. 3. Now, restart your PC and see if the problem is fixed. 2. Restart your PC and check whether it has been disabled. 4. Restart your PC to make changes. 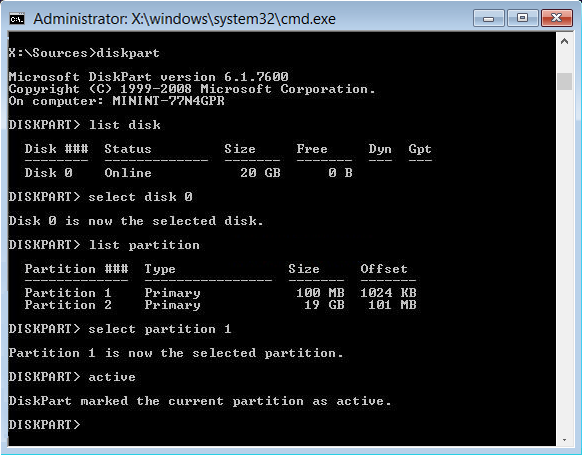 Now find the values of device partition and osdevice partition and ensure their values are correct or set to correct partition. 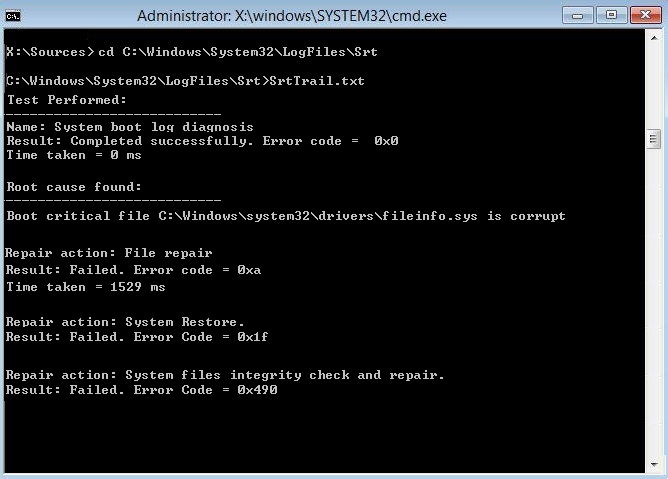 Reboot your PC and fix Automatic Repair couldn’t repair your PC error. 2. Click the Repair option present at the left end bottom screen. 3. 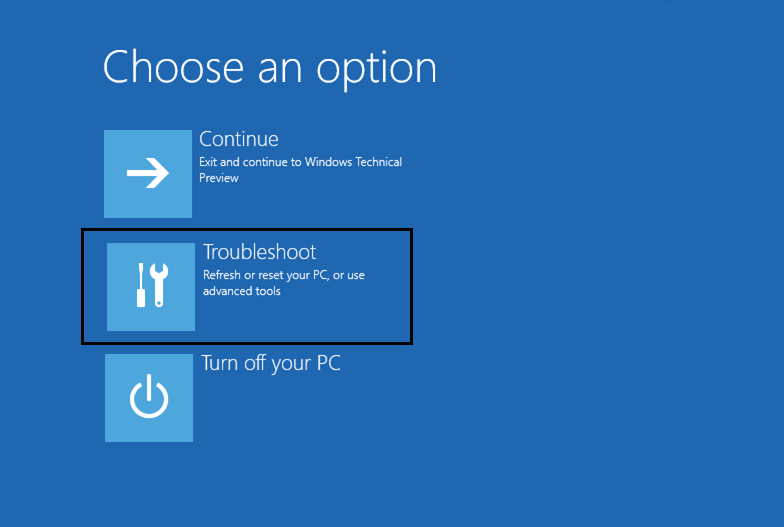 Choose Troubleshoot and then click on Advanced Options. 1. Choose Troubleshooting similarly as mentioned above. 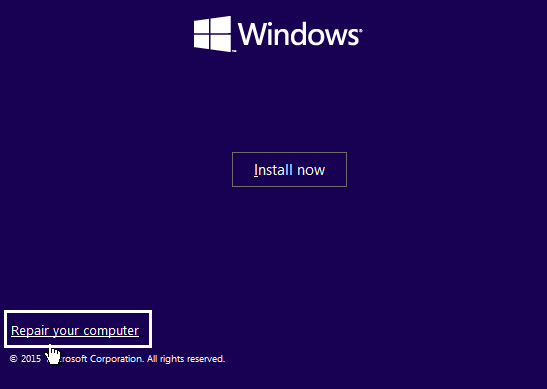 Note: Refresh will set your Windows 8 operating system to factory setting retaining your files, photos, music, and application but reset wipes all everything and makes a new installation of the operating system. 3. Then follow the screen instructions. Note: You must ensure that you have installation media and it should not be corrupted. It may sometimes happen that because of the boot priority in the bios, this loop error could happen. In this case, the following these steps might be useful. 1. When you start your PC, try to enter into the BIOS settings by pressing the function keys (F1, F2, F3. Its different for different systems). 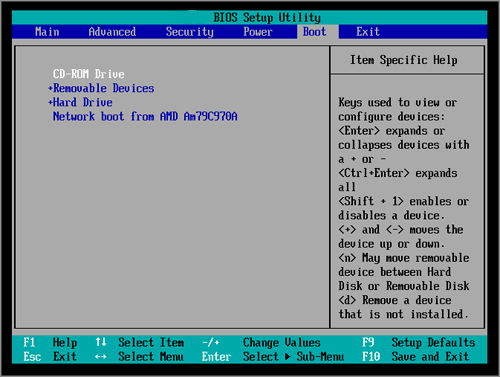 On noticing you will know that a prompt to press any key will be asked to enter into the BIOS settings. 3. 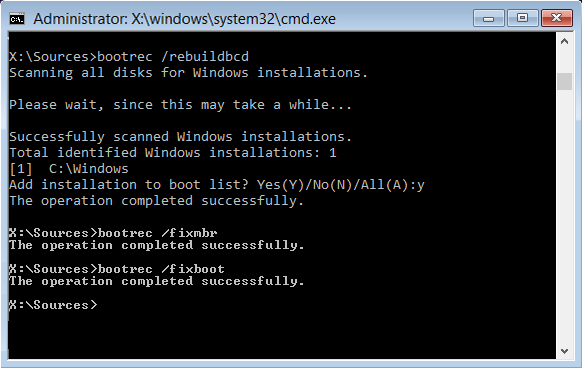 Now when you’re into the boot section, make sure that your Windows installed disk or drive is set as the first priority. 4. Save the changes made and exit. Other than Boot Priority, there’s one more option that you can do to rescue your windows from the loop error. 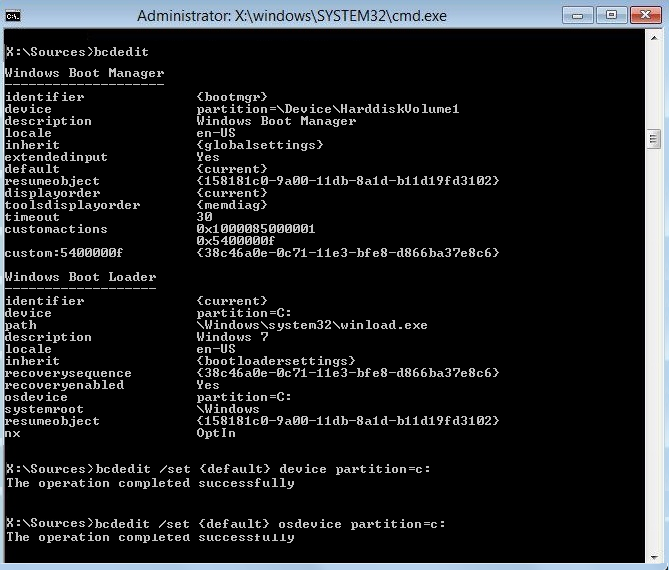 Get to your BIOS setting following the steps as earlier mentioned. After this, you need to navigate to disk controller mode set it’s Standard (IDE, SATA or Legacy) instead of RAID or AHCI. 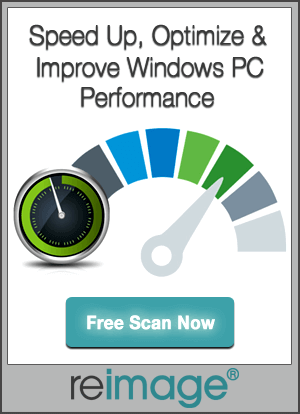 Save the change and restart your PC. If still your problem persists then undo the changes made and set to its original value and try using other options on this page. 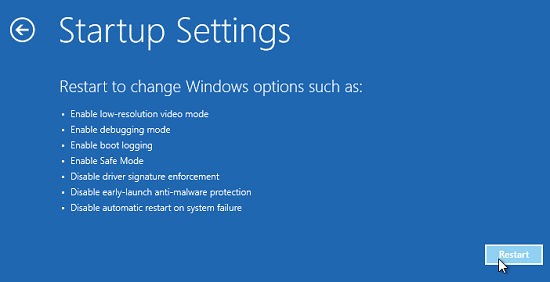 Get to your BIOS settings following the mentioned steps earlier and then switch to the Security option. Find XD-bit and Enable it. If there is no such setting then search for XN or NX-bit and enable it. Save your changes and restart. Though fixing this “Windows 10 Automatic Repair couldn’t Repair your PC” error is a cumbersome task but it has to be fixed so that you could use your PC in the same smooth manner as it used to be. But anyways the given methods have helped you rescuing yourself from this error. Various methods how to fix "Windows 10 Automatic Repair couldn't Repair your PC" have been explained step by step with illustration.